Melbourne, Victoria. 24th September, 1995. A big contest with lots of action! Australia's best bodybuilders battled it out in the annual muscle fest to see who was worthy of the titles Mr. & Ms. Australasia for 1995. This premier event was a qualifier for the NABBA Universe in England, and the team selected was the best ever! Western Australia had a very strong contingent of competitors and dominated the show. With wins in three classes and a hat trick in the Women's Figure Class, the best certainly does come from the West! South Australia and New South Wales also took home a few titles. 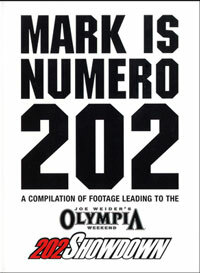 Once again the posedown for the Overall Champion is included in this Show DVD, and when the dust cleared WA's Grant Clemesha emerged as Mr. Australasia. See front cover image above by John Lisica. 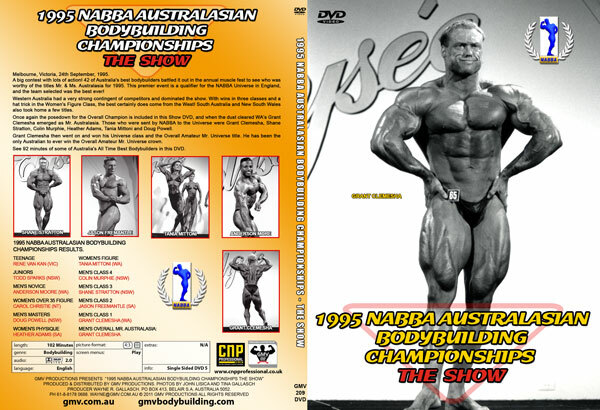 Those who were sent by NABBA Australia to the Universe were Grant Clemesha, Shane Stratton, Colin Murphie, Heather Adams, Tania Mittoni and Doug Powell. 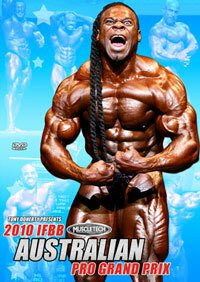 Grant Clemesha then went on and won his Universe tall class and the Overall Amateur Mr. Universe title. He has been the only Australian to ever win the Overall Amateur Mr. Universe crown. 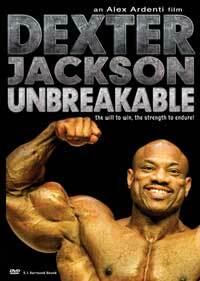 This means that Grant can lay claim to being Australia's greatest ever amateur bodybuilding champion. 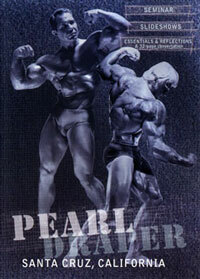 Grant later turned professional and you can see him in the 1998 IRON MAN PRO INVITATIONAL, PCB-097DVD. 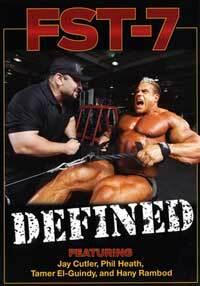 See 92 minutes of some of Australia's All Time Best Bodybuilders in this DVD. 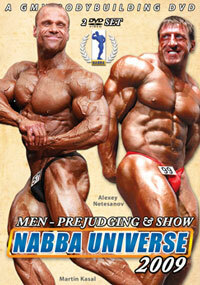 Please click here for the PREJUDGING FOR MEN & WOMEN from this contest, PCB-208DVD.